Frankly, we’ve been ignoring all of this up to now, because, the version of the Modern Fish Act that passed, and the way it was passed, is well, kinda inconsequential – to us anyway. But the reporting on the subject? It’s been, ahem, less than accurate. And, part of our niche here is to explain things like this to a community of conservation-minded anglers in a truthful, yet easy to understand way. So, let’s start with the Modern Fish Act. Yes, after removing just about all of the “objectionable” provisions to just about all of various stakeholders, the bill passed by “unanimous consent” in the eleventh hour of the 115th Congress. Let’s take a quick look at what we started with, and what we ended up with here. The original version of the Modern Fish Act mandated a full-on look at allocation (between commercial and recreational sectors) within two years, and every three years thereafter – for the Gulf and Mexico and South Atlantic only. Why only in those two regions? Red snapper politics. Without a doubt, red snapper has driven the current management discussion. And the truth is that the heavy hitters, the organizations pushing for that bill, are mostly located in that region. One could argue that those pushing the Modern Fish Act don’t care as much about the other regions, but in all likelihood, the proponents of this bill understood right away that an allocation review mandate in other regions was politically impossible. Eventually, they realized that even doing it in the Gulf and South Atlantic was impossible, too, because, in the end, such requirement was removed from the bill. It was replaced with a simple requirement for the U.S. Comptroller General to conduct a study on allocation review by the South Atlantic and Gulf of Mexico Councils, the findings of which will be reported to Congress. Clearly, that is far from the allocation review mandate that proponents of the bill sought. Where do we stand on the allocation stuff? Well, with some fisheries, particularly those where allocation schemes were based on information that is decades old, it’s hard to argue that the Councils shouldn’t be forced to take a look. Will this legislation do that? No, it won’t. Even if such a study shows a compelling need for an allocation review by the Councils, there is NOTHING that I’m aware of in the legislation that would compel the Councils to take on an allocation review. The point is that this does little, but, still, it is being spun as a big win in the press. The original Modern Fish Act authorized “the use of alternative fishery management measures in a recreational fishery.” What that means really is, instead of managing on hard quotas and having accountability measures should such quotes be exceeded, the Councils could manage on say a fishing mortality rate over a period of years and, if overfishing occurred, not hold fishermen accountable at all. The Councils have always had the flexibility to use alternative management strategies. 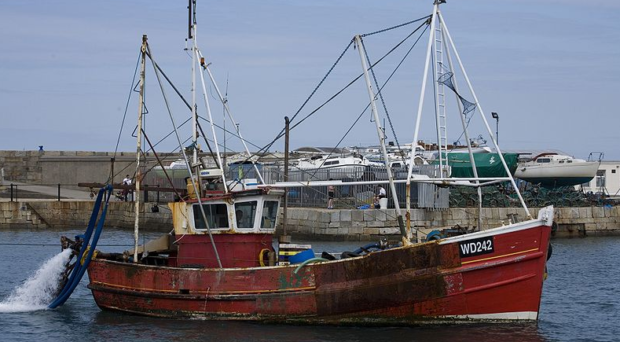 But, as a requirement of current law, any alternative management measures have to prevent overfishing (keep landings below a specified annual catch limit). This was not specified in the original version of the bill. So, it certainly seemed that the intent was to allow such alternative management measures without having to prevent overfishing. There’s been a lotta hoopla over this one. The “Yea, we can now use management measures fit more for the recreational community”- when it’s clear to anyone who has followed this that Councils have always had such authority. Yes, the various news outlets have been raving about this, but the reality is that it didn’t change anything. Perhaps most important is the early removal of the “Modifications to the Annual Catch Limit Requirement” from a prior version of the bill. That section would have created such broad exceptions to the annual catch limit requirements that many commercial fisheries, as well as most if not all recreational fisheries, would be exempt. One of those exemptions would have permitted a Council to consider “economic impact” in setting annual catch limits, which would certainly seem to allow Councils to place short-term economic gain above the biological needs of the resource, while completely disregarding the part of the angling community that depends on abundance.